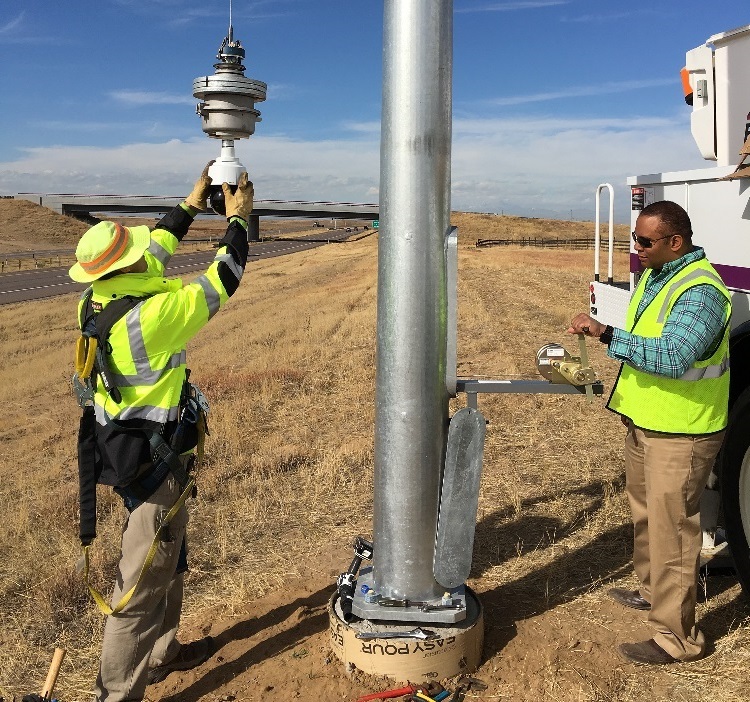 MG Squared (MG2) has been awarded a one-year renewable contract by the Ohio Department of Transportation (ODOT) to provide new camera lowering devices, as well as refurbish and upgrade existing camera lowering devices. The camera lowering device provides substantial benefits to the ODOT by allowing them quicker, more efficient and safer means of maintaining the CCTV cameras that are deployed across the interstate and highway systems in Ohio. With the utilization of the MG2 system, cameras may be maintained without the need of bucket trucks, lane closures and the creation of other safety hazards, which impede the normal flow of the highways. Further, due to the ease of accessibility of the camera with the lowering device, mounting heights for the camera tend to be located at 15m to 30m with the typical ODOT height being 21.3m above the roadway. The State of Ohio, and in particular the capital city of Columbus, was the winner last year of the US Department of Transportation’s ‘Smart Cities Challenge’. Columbus beat out six other finalists: San Francisco (CA), Austin (TX), Pittsburgh (PA), Kansas City (MO) and Portland (OR). The City of Columbus will receive up to $40m from the USDOT and an additional $10m from Microsoft co-founder Paul Allen’s Vulcan. USDOT secretary Anthony Foxx said: "We’re on the cusp of a transportation revolution. "Columbus put forward an impressive holistic vision for how technology can help all its residents." MG2 vice-president and general counsel Martin Maners, III noted: "The State of Ohio and their ITS team in Columbus have long been pioneers with the pursuit of innovation and technology. We have been privileged to have ODOT as a long-time customer and it is only fitting that Columbus received this prestigious award. MG Squared will continue to our commitment to product superiority and performance in whatever part we may play in both the specific deployments for the ‘Smart City’ and ODOT’s statewide ITS vision."